LIMITED TO MANUFACTURING DEFECTS ONLY! With respect to all its products Willamette Graystone warrants that at the time of its delivery of its products, its products conform to any ASTM specification then applicable to the particular product. This warranty extends to all persons in the original chain of distribution from the manufacturer to the owner of the property when and where the products are first installed. Because Willamette Graystone products are manufactured using mined materials, there may be color variations in products from the same manufacturing run as well as in products from different runs. In addition, efflorescence may result from the naturally occurring chemical reaction between the product and the air around it. Accordingly, no guarantee of color shades is made or implied. Minor imperfections in shape, appearance or dimensions are not considered to be defects in material or workmanship. Willamette Graystone does not guarantee that the shape or color will be available in the future and will provide an alternate shape and\or color from its current product line as determined by Willamette Graystone is its sole and absolute discretion at the time of an accepted warranty claim. The warranty is voided with respect to any products that have been damaged due to handling, wall design, Installation, contact with chemicals (such as deicers), earth shifts or acts of God. All claims against defective products that are received on site must be made within 10 days from date of shipment from Willamette Graystone. Willamette Graystone will replace product or, if unavailable, an alternate product as determined by Willamette Graystone in its sole and absolute discretion, at no charge. Willamette Graystone will replace uninstalled pavers at site if more than 5% of the product is defective. WILLAMETTE GRAYSTONE WARRANTY IS LIMITED TO THE COST OF REPLACEMENT PRODUCT ONLY AND DOES NOT INCLUDE ANY OTHER COSTS INCLUDING THE COST OF LABOR FOR REPLACEMENT. WILLAMETTE GRAYSTONE WILL NOT PAY ANY LABOR COSTS RELATED TO THE REPLACEMENT OF DEFECTIVE PRODUCTS INSTALLED. Installation COSTS REMAIN THE RESPONSIBILITY OF THE BUYER. THERE ARE NO WARRANTIES BEYOND THIS EXPRESSED WARRANTY. OUR WARRANTY EXCLUDES ANY LIABILITY FOR LOST PROFIT ANY OTHER INDIRECT, SPECIAL OR CONSEQUENTIAL DAMAGES. OUR WARRANTY EXCLUDES ANY LIABILITY OR WARRANTY FOR MISUSE OR MISAPPLICATION OF PRODUCTS. THIS WARRANTY EXTENDS ONLY TO THE ORIGINAL END USER AND IS NOT TRANSFERABLE. Imperfections commonly found in concrete products, such as exposed aggregates, small chips or cracks and varying surface textures. Efflorescence or its removal. Efflorescence is a natural occurrence in concrete products and usually washes or wears off over time. Shade or color blend variations between the product units. Damage caused by intentional abuse. Abnormal wear and tear, such as surface stains, erosion from water, damage from lawn and garden equipment. Shade variations between products and samples or photographs. 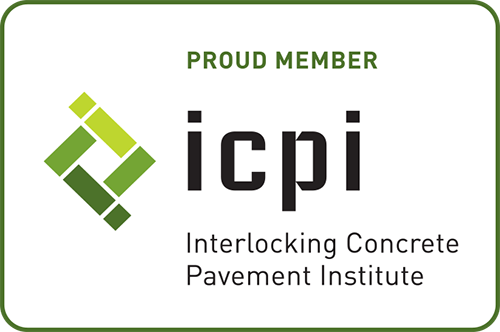 Use of concrete grid paving units, interlocking concrete paving units, or coping units beyond the applications described in the applicable ASTM standards, Interlocking Concrete Pavement Institute standards, or Willamette Graystone product information.